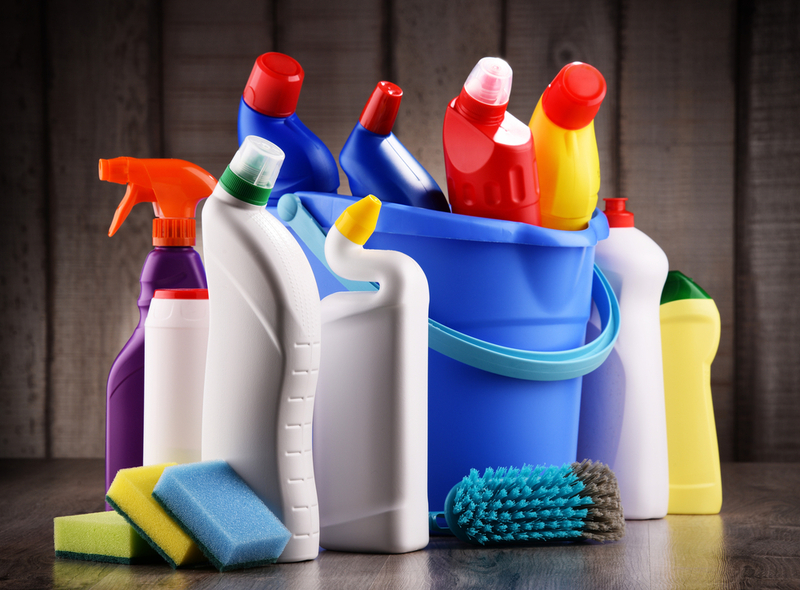 Household products can be a great help in cleaning our house, getting our cars working, or keeping our pets flea and tick free. However, they can also be poisonous to the human body if we’re not careful with how we use them. After all, these products were made to clean other stuff or to kill insects and fleas and ticks or to make cars work right; these products were never meant to make contact with the human body. However, if you know what’s in your products and how they will react to you, you’ll probably be fine. However, you should also know how to handle your household products, and always avoid swallowing, touching your hazardous household products without gloves, or inhaling said hazardous household products through your mouth and nose. If you follow these steps, you’ll be able to use your products without any problems. Antifreeze is really poisonous to humans because of its ingredient, ethylene glycol. Swallowing antifreeze is fatal, and inhalation of antifreeze can damage the heart, brain, and kidneys. So, if antifreeze is so harmful to humans, why do we have them around? Well, we need antifreeze to make our cars function. Some of the antifreeze does spill on the ground when the car is off, though, so keep an eye out for that and clean it off the floor. When cleaning antifreeze off of the garage floor or driveway, always wear gloves. And try to keep children and pets from swallowing the antifreeze, as well. You need motor oil for your car to work. We all need motor oil for our cars. Motor oil may have heavy metals in your car’s engine, like magnesium, copper, zinc, and other stuff like that. You need to be careful not to inhale the motor oil fumes or the smell, and you need to be careful with how you handle motor oil whenever you pour it into the car’s engine. You need laundry detergent to clean your clothes and get rid of the stains and dirt on your clothes. Laundry detergent has enzymes in it to get rid of stains and dirt from your clothes and other laundry items. Laundry detergents with cationic enzymes are very toxic when they’re swallowed into the body and get ingested into it. The result of swallowing laundry detergent is nausea, vomiting, shock, convulsions, and coma. Those laundry detergents with no ionic enzymes won’t try to kill you yet they will irritate your skin and eyes. And, if you are around large amounts of laundry detergent for a year, you may get asthma from it. Swallowing laundry detergent can be poisonous and has been fatal to a lot of people. bleach is used to remove colored stains in the kitchen, bathrooms, dining area, and other areas in the house that has stains that won’t come off by itself. Bleach has chemicals that bother your skin, eyes, nose, and throat. swallowing may cause nausea, vomiting and esophageal injury and can also cause damage to your stomach. Contact with skin may cause dermatitis. Never mix bleach with other cleaning products. They’re supposed to be used to kill fleas and ticks on pets. They contain pesticides chemicals that are supposed to kill other insects as well. Being exposed to pet flea and tick treatments will cause you headaches, dizziness, twitching, and nausea. With these things in mind, most pet flea and tick treatments are not the best for your pet, either. When using on your pet, don’t pet your house pet for 24 hours for the duration of the treatment. And always wash your hands with hand soap and water. It is recommended that you seek out a pet flea and tick treatment that doesn’t contain pesticide chemicals. Or ask your vet to find the right one for you. Insecticides are used to kill insects, outside or inside the house. Insecticides and pet flea and tick treatments have some of the same chemicals to kill off insects and ticks and fleas. Can cause headaches, dizziness, twitching, and nausea. When using an insecticide, make sure it doesn’t get on food or stuff that regularly comes into contact with food like countertops, silverware, plates, cups, and dish towels. 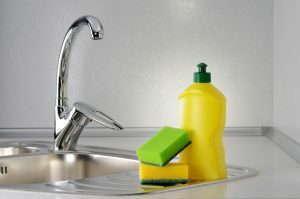 Dishwashing detergents are used in dishwashers in order to clean the dishes. 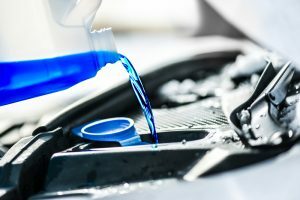 In automatic dishwashing detergent, it has the chemical called phosphate, which can irritate the skin and can be poisonous to you if swallowed. However, in hand dishwashing soap, it’s not fatal if you do swallow the soap but it could bother your mouth and throat and will give you nausea as well. Oven cleaners are used to clean the oven. Has the chemical called Lye. Lye can easily burn through almost anything in your DNA, except your bones and teeth. Can cause damage to your skin and is very dangerous to swallow since there is a high possibility of death when it comes to lye and lye is very corrosive. Window and glass cleaner are used to clean the window and the glass. The cleaner has the chemicals called ammonia and isopropanol. These chemicals bother the eyes, nose, and throat. If swallowed, may cause drowsiness, unconsciousness, and even death. Overall, these household products have all sorts of health risks, and they should be handled with care. Most of them are necessary for the stuff that we need in our everyday lives, so you can at least avoid swallowing these substances. Also, keep your children and pets away from these household products because it will be poisonous or irritating to them, too. All in all, knowing what your products have in them and what they can do to you can help you a ton, and that will help you avoid a lot of health risks and a possible death from a really poisonous household product. And always read the back of the label to see what chemicals are in your household products, so you’ll know exactly what you are dealing with.